However, some key steps apply to bloggers, enabling them to create perfect and blog-ready content with every post. The first thing you’ll want to do before you even put pen to paper is to realise and understand exactly what your readers want to read. By this, I mean you’ll need to research exactly what kind of language your readers use and engage with, what topics they want to read about and what article formatting they best respond to. This can be easily done by searching online, checking out your blogs competition and through trial and error in your previously uploaded work. There are several techniques you can incorporate in your written work to make your content more effectively and a lot more engaging to your readers. For example, aim to make your content scannable. As you can see from this article, you can quickly read through the headers to see which tips jump out at you in a matter of seconds, letting the reader know what kind of article is ahead. As mentioned above, the use of subheadings within your article is crucial to your success. Also, within your great content, you want to ensure that your headline title or question, is answered, ensuring that the reader comes away with exactly what they intended when they first clicked your article. There are so many different and unique formats of content you can choose when it comes to writing about a certain topic, and it’s essential that you pick the right one for what you’re talking about. For example, if you’re writing a top-ten holiday destination article, you won’t want just to have a block of text split up into paragraphs, a simple list format would do perfectly. While you are in a thirst to generate perfect content for your blog, you don’t have to carry out all your content creation tasks but yourself. If you did, you simply wouldn’t have enough time in the world to do anything else. Here is a list of resources you can use to better your workflow and productivity. Feedly is a great place to find content that you can write about on your blog. This app allows you to follow the publications of your choice so you can have access to the most up to date information, usually before your readers will get hold of the information themselves. The keyword density of your content is essential so your article can easily gain a high SEO ranking to be easily found by your potential followers. There are so many to choose from, and it’s simply up to you to see which one works best. If you haven’t found on, try Google’s leading Google Adwords. If you’re in need of something to write about or you want to ask a question to a leading community of experts and like-minded people, Quora is for you. You can ask any question you want, and you’ll receive a comprehensive and fully linked answer in return. Whether you’re editing your work, proofreading your work and just overall trying to aim for perfection, sometimes, a second pair of eyes helps. Use this service to upload your content to have it looked over by a professional writer. Whether you’re aiming for a short 500-word post or a 3,000-word long case study, use EWC to actively track your word and character count, all in real time. There’s not always enough time to create consistent content to upload to your blog, especially if you’re working on a masterpiece. If this is the case, employ the assistance of the expert writers at Best Australian Writers who can create content on your behalf. These services are becoming extremely popular, as told by Huffington Post in “Write My Paper” article. If you’re adding citations or references to your work, use Cite It In to create professionally formatting ones, enabling your blog to read easily and look the part. 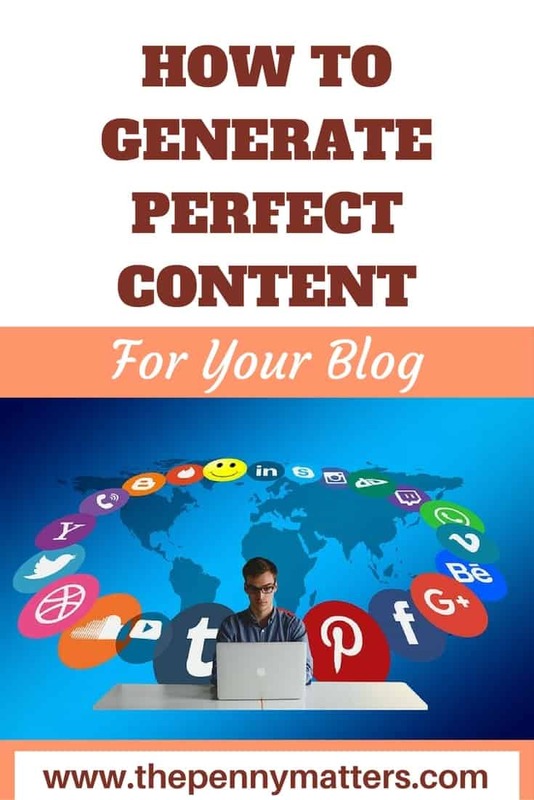 How do you generate perfect content for your blog? We would love to know. Share with us what you think of this article in the comments section below. Looking for Content Creator for your blog? Talk to us today!